Justin Fairfax used to be a roadie for rock bands – and a foodie. “I love to eat so much I almost became a chef,” he said. Then, a few years ago, he was diagnosed with cancer. While undergoing chemotherapy treatments, he suddenly had no interest in eating. “I hated food, which is unusual for me,” Fairfax said. Justin Fairfax and family in 2017. Fairfax was so impressed by the effort that he decided he wanted to join the company. 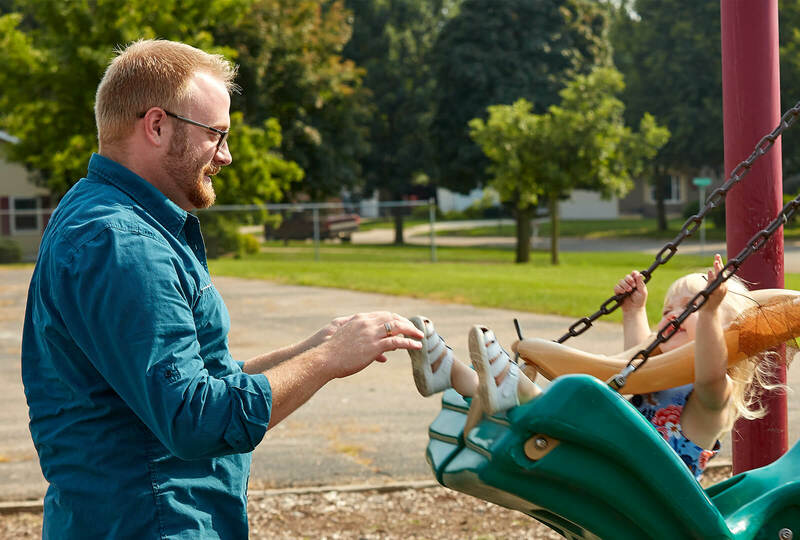 Today, he proudly works at Hormel Foods as a multimedia specialist in Studio H at the company’s Corporate Office in Austin, Minn.
Justin, like all cancer survivors and those who care for them, knows just how difficult cancer can be on the body and soul. As if the disease wasn’t cruel enough, chemotherapy and radiation treatment make recovery a marathon of fatigue, nausea and pain. Doctors know that nutritious food is critical to maintain weight and muscle mass, and to give the body the nutrients it needs to heal. Without the right fuel for the body, cancer patients face increased chances of medical complications and a longer and more difficult recovery. But getting patients to eat new foods when they have no desire to eat at all is often a struggle. So many people have been touched by cancer in some way, whether they are survivors like Fairfax or have had friends, family members or neighbors suffer from the disease. 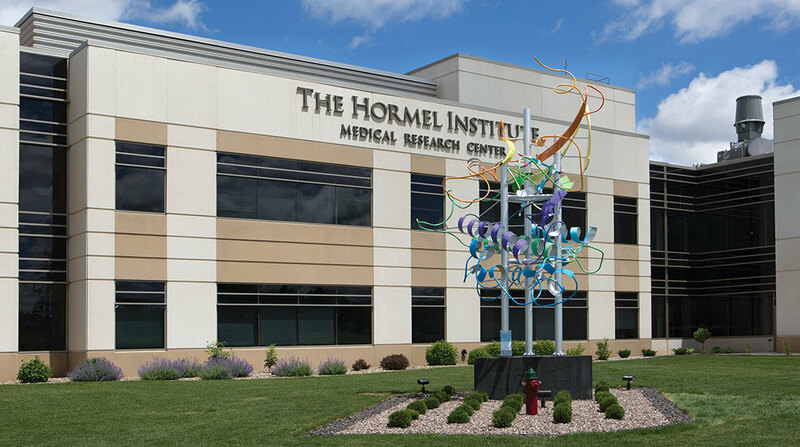 The Hormel Institute in Austin, Minn., a cutting-edge research facility focused on better ways to prevent, detect and treat cancer. The company began reaching out to caregivers, nurses, oncologists and other experts to find out both about cancer patients’ nutritional needs and how the disease and treatment impact their relationships with food. At the same time, the Cancer Nutrition Consortium (CNC), a nonprofit cancer research group, was looking to partner with a food company to produce a line of specialty products for cancer patients. Wendy Watkins, who had just recovered from treatment for breast cancer and was working for another company at the time, was on the board of the consortium. The CNC – whose members included experts from the Mayo Clinic, Johns Hopkins Medicine, Cedars-Sinai Medical Center and Dana-Farber Cancer Institute – had surveyed 1,000 cancer survivors about their eating challenges, and had outlined nutrition and food specifications for the company to produce. This was an opportunity for us to give back in a positive way. 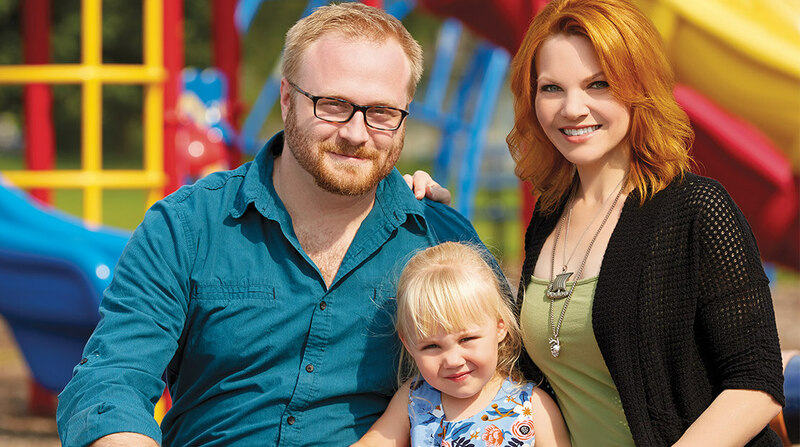 We’re using the power of protein to help people who are going through this difficult disease. One of the board members made the connection with Hormel Foods, and Watkins and others from the CNC board flew to Austin to meet with people from the company. “We realized that Hormel Foods and the Cancer Nutrition Consortium were going down a similar path and we were very impressed with the company’s commitment to those going through this cancer journey,” she said. Watkins knew from her own experience the difficulties cancer patients have getting enough nutrition during treatment. “Eating was such a challenge for me and I needed nutrition to keep up my strength,” she recalled. At the time, Watkins led global communications for a large multi-billion dollar company and worked her regular schedule, including travel, during her multi-month treatment. “The chemo regimen I was on was intense and I had difficulty swallowing, nausea and taste sensitivities.” As with other patients the CNC surveyed, she experienced extreme fatigue, little appetite and needed easy meals to prepare both at home and at work. “What can you eat for lunch when nothing tastes normal?” she said. The first time the CNC and Hormel Foods teams met, it was clear both groups shared a vision. 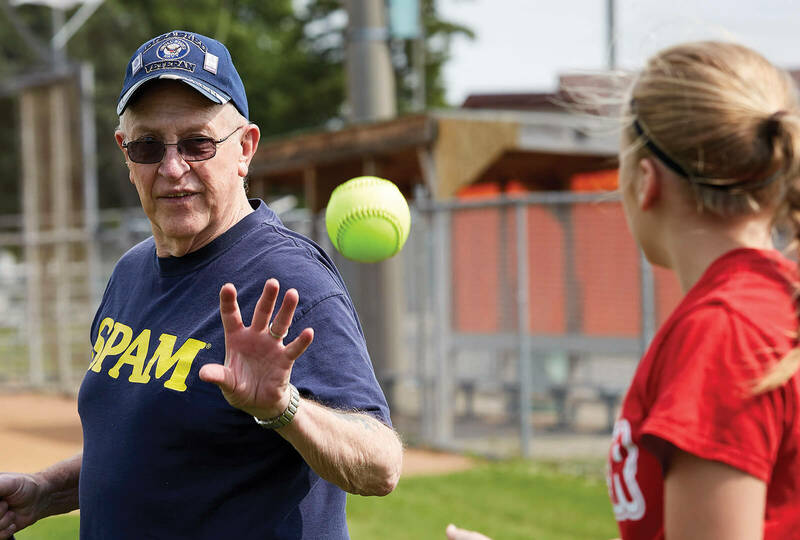 “During the first meeting, I was so impressed with Hormel Foods, their leadership, people and their commitment to making a difference,” said Watkins. Thanks in part to her experience with the formation of the Hormel Vital Cuisine™ brand, Watkins later accepted an opportunity to work for Hormel Foods as its vice president of corporate communications. Once the partnership was formed, months of research and product development began. “We spent a lot of time on the front end, making sure we understood what the needs were,” said Hormel Foods Senior Food Scientist Melissa Bonorden, who helped formulate the products in the test kitchen. CNC research revealed that cancer patients craved tasty, easy-to-prepare food that would help them keep their weight up. “We focused on providing convenient forms of protein,” she said. The group talked to experts and sent Hormel Foods Cultural Anthropologist Tanya Rodriguez to cancer patients’ homes to do extensive interviews, look through their cupboards and detail what their needs were. Cancer impacts people of all ages, and Rodriguez found that many patients she interviewed weren’t used to having to be cared for or asking for help. We focused a lot on taste, because if patients won’t eat the meals, the food can’t do its job. Once the cancer patients’ needs were identified, the team took the nutritional information from the CNC experts and went to work. Bonorden tinkered with 10 or more iterations of each recipe before taking it to master chef Ron DeSantis, former director of culinary excellence at Yale, who is on the board of the CNC. DeSantis tweaked the recipes so that they would have the best flavor and texture. “We focused a lot on taste, because if patients won’t eat the meals, the food can’t do its job,” said Garry. From there, he focused on flavor, with products that went from delicate and full of comfort, like chicken dumplings, to meals with more robust flavors. “You need a range of flavors. Some days, my wife was feeling good and wanted something exciting,” he recalled. The third component of the meals is preparation, ensuring a good texture. “The Hormel Foods team did an incredible job of making these foods feel like traditional-style stews,” he said. “What differentiates our products from a lot of others is that you have the consistency you would expect from a chef-prepared stew.” The team developed six meals, all packed with nutritious oils and protein, as well as ready-to-drink shakes and powdered shake mixes. Hormel Vital CuisineTM meals are available in six varieties. The products are marketed directly to the health care industry and are also available online for anyone to purchase. The company donates thousands of cases of products to groups like the American Cancer Society program called Hope Lodges, where patients and family members can stay while undergoing treatment at major medical centers. 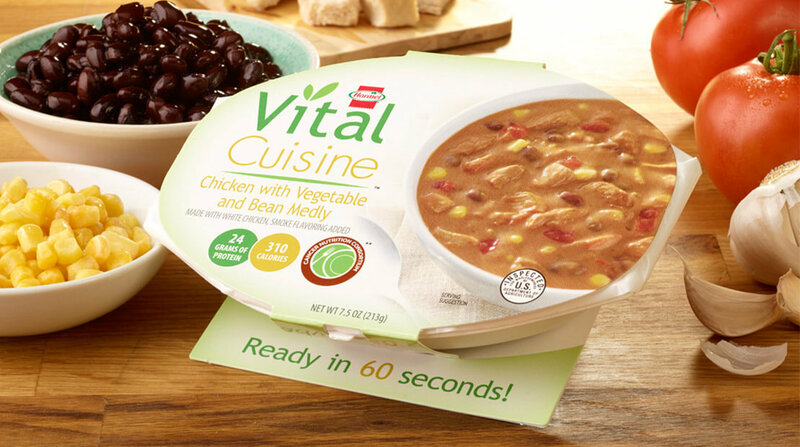 In addition, a percentage of the profits from Hormel Vital Cuisine™ product sales goes to support the CNC in its ongoing efforts to improve nutrition for cancer patients. Hormel Vital Cuisine™ products have been featured in global publications, including a feature in Oprah Magazine and Forbes. The product line was also a finalist in the World Food Innovation Awards. But more important than its visibility in the media is the accolades it receives from the very patients it was developed to help. Many patients have contacted Hormel Foods to let the company know how much they appreciate the meals. Skip Mayhew with his granddaughter in 2017. Notes like those from Hughes and Mayhew get passed around between teammates at Hormel Foods who worked to create the brand. Hearing firsthand stories about how the product line helps people going through difficult times has become a source of deep pride for the company. Learn more about the brand & find products at vitalcuisine.com.